Make lab safety fun with these stylish glasses! 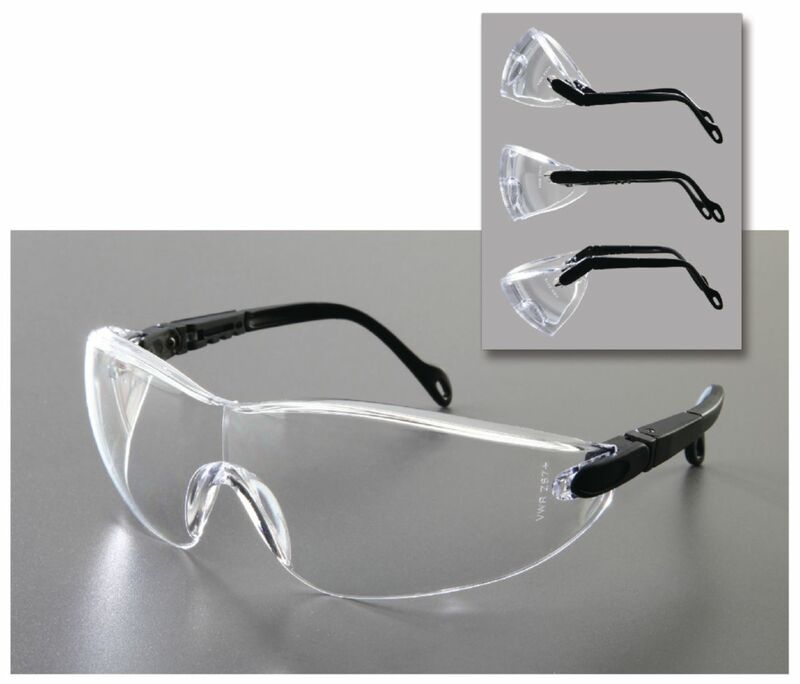 These extremely lightweight warp-around safety glasses combine fashion, fit and function, while being extremely safe for use in the laboratory. The single-piece lens will fit most faces and provides an outstanding field of vision and exceptional protection. The molded-in nose bridge provides uncompromised comfort and fit, while the rubber tipped temples provide optimum comfort for the user. Impact resistant polycarbonate lenses provided 99.9% UV protection and meets ANSI Z87+ specifications. The lenses have anti-scratch and anti-fog coatings for high quality performance and durability.